Dr. Liu graduated from Shanghai Second Medical University in 1983 with a MD degree and graduated from University of Arkansas for Medical Science in 1998 with a PhD degree followed by two year postdoctoral training focusing on wound healing and scarring at Institute of Reconstructive Plastic Surgery of New York University School of Medicine. He returned to China in 2000. Currently, he is a Professor of Plastic Surgery of Shanghai Jiao Tong University School of Medicine, and Adjunct Professor of Biomedical Engineering of Shanghai Jiao Tong University. He currently serves as Associate Directors of National Tissue Engineering Center of China and Shanghai Research Institute of Plastic and Reconstructive Surgery. Dr. Liu is the principle investigator of four national key projects of tissue engineering research sponsored by Chinese Ministry of Science and Technology and for 3 scar research grants of National Nature Science Foundation. He is a standing committee member of Chinese Society of Biomaterials and Chinese Society of Tissue Engineering, Vice President of Chinese Society of Tissue Engineering and Regenerative Medicine, Vice President of Chinese Society of Scar Medicine. Dr. Liu is the authors of more than 100 original articles published in international journals, the contributor of several international tissue engineering text books. Dr. Liu is an editorial member of Scar, Burns and Healing (SAGE), Biomaterials, Journal of Tissue Engineering and Regenerative Medicine, Tissue Engineering, Biomedical Materials, He has presented more than 30 invited speeches at various international conferences, including TERMIS-AP and TERMIS-EU chapter meeting and TERMIS-World Congress and Scar Club. 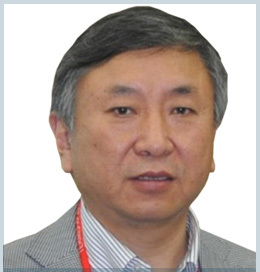 Dr. Liu is the organizer of 8th TESI Annual meeting and 2013TERMIS-AP meeting, is a Member-in large of TERMIS-AP, Member of International Union of Societies of Biomaterials Science and Engineering (IUSBSE). Dr. Liu’s clinical work specializes in scar treatment with focus on keloid and cosmetic scar revision and laser therapy. He is one of the founding member of Scar Club based on Monpellier, France since 2006, and the founding member of Global Scar Society (G-ScarS). Dr. Liu is the Conference President of The first G-ScarS World Congress held in Shanghai in October 2018 in Shanghai.